When Should I Recalculate My Calorie Intake And Adjust My Diet? QUESTION: I’m currently looking to lose about 30-40lbs of fat and I’ve already calculated my calorie, protein, fat and carb intake based on your recommendations. However, I understand that as I gradually lose weight, those initial numbers that I’ve calculated will no longer be right for me. So I was wondering, how often should I recalculate my calorie intake and adjust my diet to prevent plateaus and make sure I keep losing without having any stalls or setbacks? Every 1-2 weeks? Every month? After every 5-10 pounds lost? I’ll do it after every pound if you think it will help. ANSWER: This is a good question. It’s also one that I get asked from the opposite point of view as well… meaning people who are focusing on building muscle (and are therefore very slowly gaining weight) and want to know how often they need to adjust their calorie and macronutrient intake upwards to keep things moving in the right direction at the ideal rate it should be. So, let’s answer it all. But First… Why Is This Even A Question? Before I tell you exactly how often you should recalculate things, I want to clarify why things actually need to be recalculated in the first place. And the most simple reason is that a bigger body will naturally burn more calories than a smaller body. For fat loss, the calorie intake that might cause an ideal rate of progress for someone at 250lbs isn’t the same calorie intake that will cause an ideal rate of progress for them at 200lbs. Meaning, at 200lbs, they’d most likely need to be eating fewer calories than they initially calculated and progressed well with back when they were at 250lbs. Why? Because there’s now 50 less pounds of mass (body fat) on their body, and a smaller body burns less calories. And this (along with a smaller adaptive metabolic component) is the super complicated cause of “weight loss plateaus” (and why adjusting your calorie intake (or output) to compensate is the super complicated solution). For building muscle, a skinny guy who is 140lbs and trying to get to 180lbs will find that by the time he hits 165lbs (just a random example), he’s going to be eating more calories than he initially calculated and progressed well with back when he was 140lbs. Why? Because he added 25lbs of mass (ideally mostly in the form of muscle rather than fat… which, by the way, is precisely what Superior Muscle Growth is designed to do) to his body, and a bigger body burns more calories. And since your protein, fat and carb intake are calculated based on either your body weight (like how protein recommendations are typically something like 1g per pound of your current body weight) or your total calorie intake (like how fat recommendations are often something like 25% of your total calorie intake… and then carbs fill in the rest), you can see why it’s not JUST calories that would need to be recalculated. It’s calories, protein, fat and carbs. So, for everyone who has ever successfully lost weight or gained weight for a significant period of time and then suddenly stalled… this is the most common reason why. You just need to adjust your diet to compensate for the successful changes you’ve already made, which will then allow similar successful changes to continue to occur. The only question is, how often should you make these adjustments? How Often Should You Recalculate? My recommendation is very simple. Don’t recalculate or adjust any aspect of your diet until progress has consistently stopped altogether or maybe just slowed down to a significant (and unacceptable) degree. Basically, don’t do anything until there’s an actual need to do so. So if your goal is fat loss, adjust only when weight loss stops completely (or possibly just falls meaningfully below the ideal rate you’re aiming for) for a consistent 2-4 week period. Why Not Do It More Often And/Or Regularly? Why not just preemptively recalculate everything every couple of weeks or every month or every 5 pounds and avoid ever reaching a point where you let progress slow down or stop? Because the differences will be way too insignificant to legitimately warrant any adjustment. Because you’d just end up making these tiny, meaningless adjustments (e.g. 10 calories, 2 grams of protein, etc.) that will be nearly impossible to accurately even make in the first place. Because trying to make these kinds of tiny insignificant adjustments will only drive you insane. And waste your time. And did I mention drive you insane? Because progress is never perfectly linear AND body weight fluctuates. So while things will move in the right direction at the ideal rate it should be moving most of the time, there will be weeks when there are no changes whatsoever. There will also be weeks when things move a bit too fast or too slow. Hell, there will be weeks when things move in the opposite direction you’ve intended (for example: The Causes Of Unexplained Weight Gain). And do you know why these weeks often occur? Not because there’s something wrong and an adjustment needs to be made, but because of normal wacky fluctuations in body weight. So you’d end up in a lovely scenario where you adjust your diet based on nothing but the fact that you happened to take an above-average sized poop the day before, or consumed an above-average amount of sodium that week or the previous day, or you’re a woman and it’s a certain time of the month, or your carb intake was a little higher or lower than it typically is, or something equally meaningless that will cause various completely normal and entirely temporary changes in body weight that do not warrant making any adjustments for (and instead warrant just giving it another week or two and patiently watching things return to normal). Because in order for you to even know if things are actually moving in the right direction at the ideal rate, you need to keep everything consistent for a significant period of time. And if you’re constantly making minor adjustments to your diet to compensate for every tiny change or passage of time, it’s going to make it mighty hard to know if things are working like they should be in the first place. So, here’s the point. Don’t adjust anything or even worry about having to adjust anything until things slow or stall for a consistent period of time and a need for adjusting actually exists. Doing anything before that point is a big waste of time and effort in my opinion, and it will most likely cause more harm than good. Another perfectly rational explanation and answer for a common question. Thanks dude. “Perfectly rational” is my middle name. Once again a great article.I found over the years some great sources for info regarding weight lifting, fitness and keeping a good physique in general, but i have to say when i read your blog for the first time it was like i was reading the essence of all the info i had in my mind. All the articles are to the point, very well written and in a way that everyone gets what you are saying either he is a beginner or in a more advanced fitness level.I wish i had come across your blog sooner. All the articles i’ve read on your blog either enhanced what i’ve known till now or gave me a new perspective….a new angle of seeing and approaching some things both in training and nutrition….that is why you are now on the top of my bookmark list 🙂 !! Thank you… very happy to hear it! Another great blog post. I agree with you for the most part. There is, however, one way out of waiting until progress stops in order to tweak things. That is with continuous average monitoring. If you are counting calories and tracking weight on a daily basis, you calculate TDEE as an average for a shifting window and concentrate on creating a deficit on that TDEE. That way you never unknowingly stop having a deficit. But, that being said, if one has been using fixed portions as a way of not having to count calories, they will hit a point where they stop making progress. or it slows down. And your post makes excellent sense in those cases, otherwise it defeats the purpose of using the fixed portions method. On a related subject, why would someone who’s losing weight hit a wall? My BMR has gone down by 200Cal over the last 20 months and 25kgs. But by TDEE has increased by 600Cal over the same period because of NEAT (I’d never have noticed these things if I hadn’t been tracking on a daily basis). Wouldn’t someone losing weight actually start losing weight faster and faster (like I did) rather than hitting a wall? The only way a person will lose weight faster and faster (rather than slower and slower until a wall is hit) is if calorie intake is being consistently adjusted downward or calorie output is being consistently adjusted upward (or both). NEAT increasing could make that happen, but for most people, NEAT will only down-regulate in a deficit (it’s part of the body’s adaptive starvation response… calories are reduced so it naturally burns less and less to keep you alive). I started going to the gym to lose body fat following your diet/workout recommendations for 2 months now (I’m 5’8 and weighed 160lbs) and now I’m in a month long weight plateau at 155lbs, so I came to look for some answers and found this article. Since I’ve been making a progressive overload, I have mantained or improved my body measures (biceps, calves, etc), although I still have a lot of belly fat. My question is: until what point I’ll have to lower my weight to get a flat stomach? Now I’m 30 years old, when I was 24 at this same weight I looked decent. By default I’m a slim guy and if I weight around 148lbs I’ll probably look too skinny. Is this something that I’ll to accept? getting to that low weight and then recovering it looking lean and not getting fat? I’m not 100% sure I understand what you’re asking, but the simplest answer is this: continue losing fat until you hit your desired level of leanness. The “how long will it take…” and “how much more do I have to lose until…” questions aren’t what you should focus on. It’s the task needed to reach the goal. Focus on that and you’ll answer your own questions soon enough. I’m in a simialar situation. Over the last four months I’ve gone from 205 to 185 (I’m 6’2″ and 43 years). I did this with watching calories (using a calorie tracking app religiously tracking everything with an initial Net calorie goal of about 1500 per day) and mostly cardio with some weight training. Now that I’ve lost the weight I’m doing more weight training and a bit less cardio. I didn’t want to get too “skinny” so when I hit 185 (my randomly selected goal) I started upping my calorie intake. I’m pretty much in a 185-187lbs with 18.5-19.5 body fat plateau (according to my Withings scale, down from 205 and 25%) for the last couple weeks with 1800 net calorie goal. I’m much more muscular than I was and want to keep building muscle but I still have a layer of flab around my belly. This is brings me to your comment above about “keep losing fat until your desired leanness”. Does that mean, I should go back to a lower calorie count to keep loosing weight even though I want to build more muscle? I want this last inch or two of flab I can pinch gone, but I don’t want any muscle ive gained (or continued buildup) to diminish. Just found your site and I’m glad I did! I’d answer this one based on body fat percentage. Details here. I lost about 40-50lbs using the advice from this blog. I am now working on that last few pounds to get cut. The advice in this article is right on. The point is keep it simple. Most people’s lives are too complicated to deal with tinkering with macronutrients on a daily basis. Here is what I did. I got an IPhone app that calculates my calories. Everything I ate goes into the app everyday. As time went on I figured out how to plan for unexpected events which makes dieting difficult (your kids birthday, boss inviting you to lunch, etc.). I set goals for the nutrients but the only thing I set in stone was net calories. The app did all of the calculations and automatically adjusted for weight. But honestly adjustment was only every 5lbs or so, which was 2-3 weeks at first. ^This dude knows what’s up. And congrats on the fat loss, by the way. Hi Jay, I’m guessing you are a busy man and you probably get tones of comments/questions/emails every single day, but I just had to ask you two things. But first, I find ALL of your posts to be of the greatest help, always. Thank you. In short, I’m a 25yr female, 154cm/46kg with BF18.7%, BMR 1188 (according to my latest In-Body check up earlier this month). I have been doing Kayla Itsines’ BBG workouts 3 times per week, and some power-walk cardio and/or occasional HIIT as well. I have been eating around 1300-1450 calories everyday. However, recently, I have been unsure whether I should be still aiming at fat loss or at muscle gain instead since I feel like I’m not really seeing progress. Turns out, one of your articles answered: to target lean muscle gain. And I need to eat more? SHOCK! But yeah when I do the calculation, seems like I need to eat about 1700 calories per day (mind checking the number real quick please?)….. So my questions would be: 1) Do I begin eating 1700 calories right now and let it stay that way? Like, if I end up eating my usual 1300 calories today, do I start eating the calories surplus beginning from tomorrow, or do I need like an adjustment period? 2) What about my workouts? Some told me to reduce the amount of cardio and increase resistance workouts, but could I just continue with the BBG circuits without intentionally increasing/decreasing the amount of free weight training? 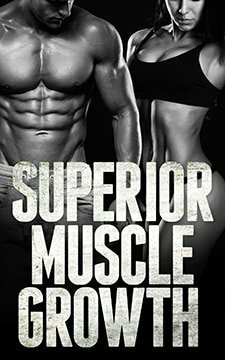 My book (Superior Muscle Growth) covers everything you just asked in waaaaaay more detail than I can provide in a quick comment reply. I’d recommend checking it out if you haven’t already. Needed? Nope. It’s one of many potentially effective ways of doing things, though. My question pertains to getting closer to your goal weight. I’ve read articles saying you should aim to lose about 0.5-1lb a week rather than 2lbs the closer you get to your goal weight because it is healthier. Also, staying at the 2lb a week rate you would lose more muscle rather than fat. So anyways I have lost 31lbs so far, am 5’2, and currently weigh 127lbs. My scale says I’m 28% body fat and I thought I’d be lean enough at 130lbs. However, I could stand lose probably another 10-15lbs. Should I keep trucking along aiming for a 2lb weight loss weekly or up my calories to start losing a bit slower? I’m very active at work so I don’t exercise. My fitbit says I burn about 2,000 a day and I only consume 1200. I’m wanting to lean up so then I can enter the world of gaining muscle! Thank you for your time. To make things easier, minimize issues with hunger, metabolic slowdown, hormones, muscle loss, etc. etc. etc. I’d typically recommend someone with 10-15lbs left to lose go closer to 1lb per week rather than 2. Hello, love your blog posts! I have a question as a beginner about a calorie deficit. If your deficit is too high is it possible for your body to think it’s in “starvation mode” and hold on to the body fat to protect you? Hi. I have been lifting for over 13 years now and at the moment I’m 6′ 220lbs, arms 16.5 ” and about 20+% BF. I’m still trying to get bigger and stronger but I’m only eating maintenance calories at the moment because I don’t want to get fat. I already have a spare tire which is not cool but this happens everytime I try to get bigger. Then I lose weight and muscle and start the process all over again. I watch my macros and eat healthy. I would like to get my arms up to 18″ and get much bigger and stronger. Any advice would be appreciated ? Thank you! You need to get lean first. Then you need to focus on building muscle without gaining excess fat. My book (Superior Muscle Growth) is designed for that exact purpose. I see what your saying Jay. It’s just frustrating because everytime I try to reach my goals, it’s time to start cutting where I lose my strength and my size and spend a bunch of time trying to get it all back. My first year training I benched 315 for 4-5 reps, I haven’t been able to do that in the last ten years. I bought the SMG pdf and it’s really awesome! I like how you explain everything and I love the structure and variations of the routines. Definitely my style. I have always had decent leg size and strength but always wanted that really big, strong upper body. I started doing the upper body focused routine and love it but maybe I should just focus on losing bodyfat then? I guess I’m trying to say that I just keep gaining and losing the same weight over the years. Up to 220lbs, down to 200lbs. I haven’t made any actual NEW progress in years. That’s muscle or weight on the bar. If you’re 20% BF, get down to a legit 10-12%, and then follow the guidelines of SMG for a muscle building phase after that. You’ll finally end this cycle of gaining/losing with nothing to show for it. One very real possibility is not the one anyone wants to hear: if you’ve been training with any sort of consistent progression for thirteen years, then the reason for being unable to get gain substantially more muscle mass without losing it when cutting may be “you’ve maxxed your genetic muscle mass limits”. An average-gened lifetime natural who’s 6’0″ might expect, after four or five consecutive years of progressive training, to max out bodyweight at 190 lbs or slightly less at 10% bodyfat. Someone 6’0″ who is 22% BF at 220 is carrying about 48 pounds of bodyfat, which, when cut to 10% is, *DING*, 190 lbs bodyweight or less. Meaning, if you’ve been training for thirteen years, and can never seem to carry any more muscle mass that’s retained when you cut to 10%, the issue may be your genetic ceiling. Once your genetic muscle mass ceiling is achieved, then, you can get as “bigger and stronger”, at higher bodyfat percentages, but whenever you cut the bodyfat down to 10%, you’ll be back to that same genetic natural muscle mass point again (AAS, of course, enable people to surpass thier natural mass limits). Regrettable when we’re at our genetic ceilings and still lack the size and proportions we wish for, but it’s the reality most of us face. Hi Jay. Apologies if you’ve answered this somewhere else already. I’ve bought your SMG book and have been using the diet with some success for a while now. I’m at the point where I’m trying to lose a bit of fat to get to 8% and see my abs clearly before moving on to a surplus again and trying to gain more muscle. My plan is to get into a groove of moving between 8% and 12% during the building and cutting cycles. I recently worked out a weekly meal plan based on a 20% below maintenance calorie level. I reckon I’m probably around 10% body fat at the moment and have been on the deficit for 1 week now. I weigh myself every morning as suggested and take the weekly average. My fear is that I’m losing weight too quickly and that muscle is going down the drain too. I’m a small guy at about 5’4″, 35 years old, and the week prior to starting the deficit my average weight was 130.38lbs. 1 week of being on the deficit plan and my weekly average has dropped to 128.75lbs. In the SMG book you have ideal rates of weight gain for the various groups of which I’d consider myself belonging to Group B. 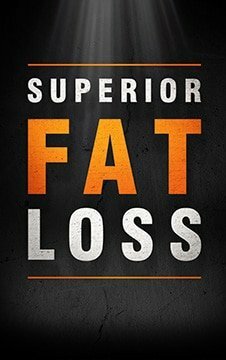 Is there an ideal rate of fat loss one could use as a guide to ensure the weight being lost is mostly fat and not muscle? I know it’s only been a week on deficit and you suggest waiting at least 3 weeks after starting a new diet to make changes, I’m just wondering if I should be reducing my deficit to 15% or 10% now though because if my weight keeps dropping as it is for the next 2 weeks there’s going to be nothing of me left 😉 Many thanks for any advice. Regards, Shane. Sorry, just a bit more info, I’ve worked out on and off for about 8 years now with numerous breaks from gym during that time so my weight has been up and down but I’ve never been overweight and seem to have a fairly fast metabolism. I’ve always been on a muscle building mission before and this is my first fat loss attempt. I wouldn’t recommend making any changes to your calorie intake based on what your weight does during the first week of being in a deficit. It will ALWAYS drop more than it should during that week due to water and glycogen loss. Give it 2-4 weeks before changing anything. That aside, if you are 10% and going to go down to 8%, going with a smaller deficit (10-15%) might be ideal anyway. And regarding the ideal rate of fat loss… stay tuned. The book I’m currently writing will cover this.